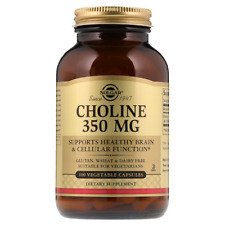 Choline bitartrate is the salt form of choline, an important essential nutrient. Uridine Monophosphoric complex is choline enhancer. This products is made in USA. Absonutrix Uridine. Uridine Monophosphoric Complex. Caution: Keep out of reach of children. This product is not intended for individuals under 18 years of age. Choline (as choline bitartrate). Supports Healthy Brain & Cellular Function. Keep out of reach of children. Suggested Use. Other Ingredients. UPC Code:033984008304. Vegetable cellulose, vegetable magnesium stearate, silica. Choline (as choline bitartrate). Supports Healthy Brain & Cellular Function. Keep out of reach of children. Suggested Use. This is Genuine item manufactured bySOLGAR . UPC Code:033984008304.